Very nice brick ranch that is move in ready. 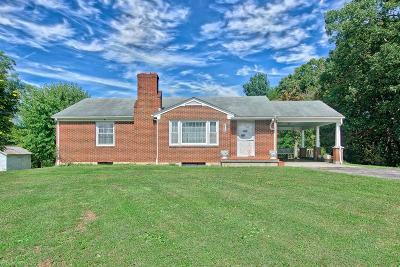 This home has beautiful hardwood floors, Wood burning fireplace in the living room, Wood stove in the basement family room. Also a Heat pump. This house has so much potential and lots of room to expand. Only about 2.5 miles from the New River Valley Mall and setting on 1.188 acres plus. This home has been in the same family since it was built. Come see today!!!!!!!!! Directions: From North Franklin St In Christiansburg Turn Onto Peppers Ferry Road Rt 114 House Will Be On Your Right. From Radford Of Rt.11 Turn Onto Peppers Ferry Road And House Will Be On Your Left.